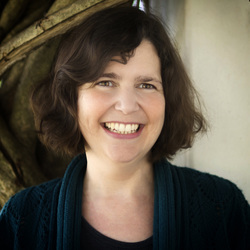 Sally Rosen Kindred is the author of two books of poems from Mayapple Press, Book of Asters (2014) and No Eden (2011), and the chapbooks Garnet Lanterns (Anabiosis Press, 2006) and Darling Hands, Darling Tongue (Hyacinth Girl Press, 2013). Her new chapbook, Says the Forest to the Girl, is just out from Porkbelly Press. She has received two Individual Artist Awards from the Maryland State Arts Council, and she is a poetry editor for The Baltimore Review. Recent poems have appeared or are forthcoming in The Gettysburg Review, Pleiades, Poetry Northwest, The Massachusetts Review, Missouri Review's Poem-of-the-week Web Feature, and Kenyon Review Online. A native of North Carolina, she lives in Maryland. My chapbook, Says the Forest to the Girl, was released in May by Porkbelly Press. "Fairy Tale for Mother and Teenage Son" was the Poem-of-the-week web feature this summer at The Missouri Review. "When You Call My Body An Odd Thing" appeared this spring in Kenyon Review Online.